Our Akulon® polyamide 6 is used extensively for film extrusion in food, medical and industrial packaging thanks to its compelling blend of properties. Polyamide blown film processing for flexible food packaging is more productive and cost effective when you use Akulon® XS. We developed this unique polyamide 6 to help processors overcome the specific challenge of managing crystallization in blown film. Akulon XS crystallizes much slower in the film bubble than conventional polyamide 6 - matching the crystallization rate of other material layers. This creates a more stable bubble and extends the processing window, with no need to augment production with expensive, amorphous polyamides or polyamide copolymers. Importantly, the look and feel of Akulon XS-manufactured film is comparable to traditional film-grade polymers – despite being made from larger crystals. In fact all its properties are the same. Another advantage of film made with Akulon XS is increased stretchiness, which means less force is needed to achieve the same blow-up ratio (BUR), or the same force can be used to produce a bubble with a BUR between 7 and 10 % higher. We pride ourselves on being more than a materials provider – which is why for the complex area of blown film we created the DSM Film Structure Calculation Model. This unique tool helps our customers predict the precise barrier properties of different film structures (even after retort processing). As a result we can help them find the ideal layer structure and processing conditions for Akulon XS. Akulon polyamide 6 offers the right balance of solid oxygen barrier, excellent processing and mechanical properties - protecting both fresh and processed foods from spoilage, aging and discoloration. This versatile thermoplastic gives film formulators the best possible consistency in terms of viscosity, low gel count and moisture content - both within and between batches. Akulon polyamide 6 also has good mechanical strength at high temperatures in blown film; while with its exceptional viscosity and stability, Akulon polyamide 66 is ideal wherever packaging suffers high mechanical and thermal loads. For Biaxially Oriented Film (BOPA) converters, lactams are an unwelcome bi-product of production. Or at least they were, until we created Akulon Low Oligamer Polyamide (Lopa) – a purer, more sustainable material that reduces lactams and increases productivity. All BOPA film converters will be familiar with the problem of lactams evaporating, blocking up equipment and generally polluting the production environment (as well as potentially the contents). Akulon Lopa is a specially engineered plastic with a lower caprolactam monomer count. 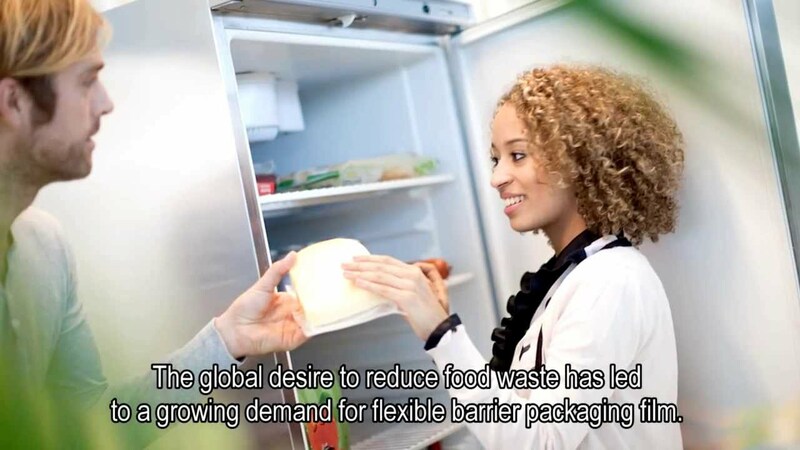 It’s especially suited to medical packaging where migration of lactams into the contents is not an option; and increasingly for the food industry – where new legislation in Europe could be about to change the playing field. By using Akulon Lopa our customers can also increase productivity through less equipment cleaning and maintenance; plus the ability to extend production cycles by reducing extrusion die vaporing.